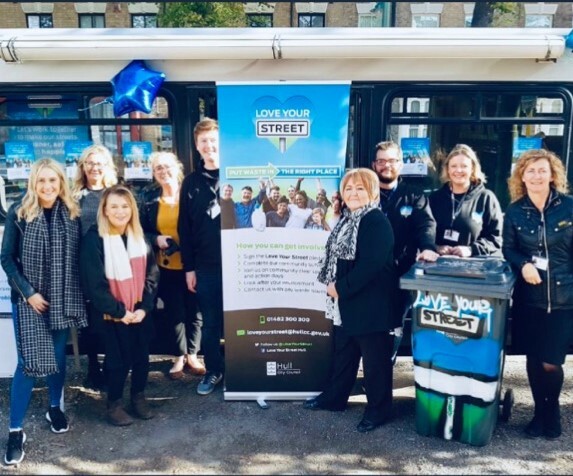 This week has been the official launch of the Hull City Council’s Love Your Street Project, of which Neighbourhood Network have partnered. This project will involve residents, landlords, community groups, university students, and other stakeholders all working together to make a visible difference to their communities. They are wanting to get to the root cause of different waste issues, and use measures to counteract them. This would include listening to resident priorities and planning action days. They believe that this would make Hull a better place to live, and can only be done if they work together with the communities. These methods have been chosen to allow them to talk to residents at their homes, as this is more convenient. They will be able to stress the importance of recycling, and the advantages and disadvantages of not managing waste effectively. They will be able to listen to the complaints and concerns of the local population, and provide advice or offer actions to overcome them. As well as this, they will be able to provide real world examples of what can and cannot be recycled, and show just how easy recycling actually is. In addition to this, by being visible in the area and collecting litter, they aim to have a trickle effect and encourage local residents to have pride in the community and make it a nicer place to live. By providing support, they will ensure that residents are constantly aware of what they can do, feel a part of a wider team, and be more empowered. By working with community groups and schools, they would work with children and promote positive actions that they would take with them through to adulthood.